He’s the voice of Irish rugby on RTE radio, a passionate Munster man who would never dream of allowing any provincial preference to become apparent in his broadcasts. Allegedly. But today we’re talking about the other Michael Corcoran, Fenian, soldier and confidant of Abraham Lincoln. The story begins in 1860. The occasion is the proposed visit of the Prince of Wales to New York. The Prince had been gracing Canada with his presence and was invited south. In order to avoid the attentions of Irish desperadoes he journeyed to New York incognito. Being a member of the royal family, however, he chose not to travel as plain old Mister Smyth (probably with a ‘y’), but selected the assumed name of Baron Renfrew. He had a perfect right to do so as it happened to be one of his many titles. Doubtless for the sake of brevity and anonymity he chose to forego the rest of the Renfrew name, which goes ‘Lord of the Isles, Prince and Great Steward of Scotland’.So quite a comedown really for poor old Bertie. The plan was that on his arrival the Prince was to be greeted by an honour guard of New York Militia Regiments. This, in theory, was to include the famous ‘Fighting 69th’, a regiment of committed Irish nationalists. When its commanding officer, Colonel Michael Corcoran, from Ballymote, Co.Sligo, was informed of the plan he refused absolutely to parade his regiment before the heir to the throne of England. The fact that he was a member of the growing Irish Revolutionary Brotherhood, was likely to have influenced his attitude. His insubordination in the face of the man who would be Edward VII (but not for another forty years or so) caused him to be arrested pending a court martial. 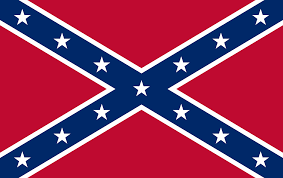 Fortunately for him Jefferson Davis, President of the Confederate States of America, intervened on his behalf. Well at least he did so in the sense that the Confederate army fired on Fort Sumter and the American Civil War began. It was deemed wise to release Corcoran without the need for a court martial. In return the Sligo man offered to recruit new Irish members to the 69thto bring it to full strength. He sought 1000 men. He could have got five times that number. It was a period of profound innocence. No one knew what war was really about. It was all a big adventure. The 69th found out very quickly what exactly it was all about. They went into action in the defence of Washington, DC, on 21 July, 1861 on the banks of a Virginia river in the first major battle of the war. It was Bull Run if you were fighting for the Union in the Civil War – Manassas if you were with the Confederates in the War Between the States. It was a battle in which the Union army offered a powerful demonstration – of exactly how much it had to learn about warfare. The Union forces were overwhelmed by the greycoats. The 69th, abandoned and isolated, attempted to beat an orderly retreat in the midst of the shambles that surrounded them. Corcoran was wounded in the leg. He, and a number of his men were taken prisoner. When the Union threatened to execute a captured Confederate naval commander for piracy the Confederacy selected Corcoran to be shot in retaliation. It was quite a tribute to his leadership qualities and his importance. Fortunately for the Irish Colonel both sides backed down. 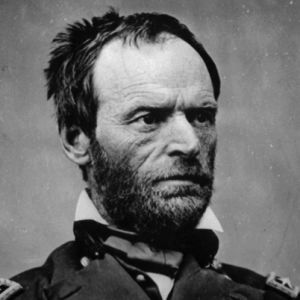 The Confederates offered to release Corcoran on parole. 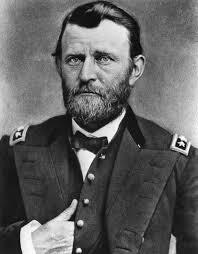 All he had to do was guarantee not to rejoin the Union Army and continue to fight against them. On those terms Corcoran preferred to stay in prison. Then, in November, 1861, a Union ship intercepted an English steamer on the high seas and removed two Confederate diplomats, James Mason and John Slidell, who were on their way to England. Her Majesty’s government was livid and, for a brief period, there was a genuine threat that Britain would enter the war on the Confederate side. Of course, this did wonders for Irish recruitment in the North, though probably not as much in the South. Corcoran, who had been promoted to Brigadier General while he was in prison, was exchanged for the two southern diplomats. So impressed was President Lincoln with the Irish officer’s refusal of parole, that he invited him to dinner in the White House. Corcoran, far from opting out of the war, as the Confederacy would have preferred, raised a force of eight Irish regiments, in a Legion that was called after him. He himself rose to become a Corps commander until he was thrown by his horse and died, tragically and pointlessly, in 1863. As far as we know the Prince of Wales sent no flowers to the funeral. Michael Corcoran from Ballymote in Co. Sligo, American Civil War General and dedicated member of the Irish Republican Brotherhood, was born, one hundred and ninety one years ago, on this day. They are two very different orations. One is short, a mere 269 words and lasting barely three minutes. The other is in excess of 3,000 words, and must have taken closer to half an hour to deliver. The earlier speech was given by a man marked for a judicial death, the later by one who would be mown down by an assassin’s bullet within eighteen months. Abraham Lincoln, 16th President of the United States of America, was born five years after the execution of the young rebel United Irishman, Robert Emmet, but the bizarre connections between the two men are compelling and inescapable. Both were Republicans, both are perceived by their acolytes as martyrs and both have become elements of two distinct Pantheons. 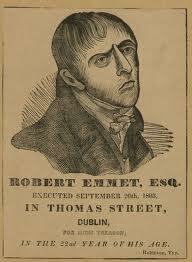 Emmet, a post- Enlightenment Irish Republican, atoned for the hapless nature of his one day rebellion on 23 July, 1803 in Dublin by making the single most famous, effective and affecting speech in Irish nationalist history. Lincoln was one of the founder members of the anti-slavery Republican party and its first successful Presidential candidate in 1860. His election precipitated the debilitating four year American Civil War (or the War Between the States if you happen to be a southerner). His Gettysburg address was a model of rhetorical clarity, creativity and brevity. Ironically, the principal speaker on the day was Edward Everett, an unsuccessful Vice Presidential candidate in 1860. His speech was a whopping two hours long. In central Pennsylvania. Outdoors. In November. 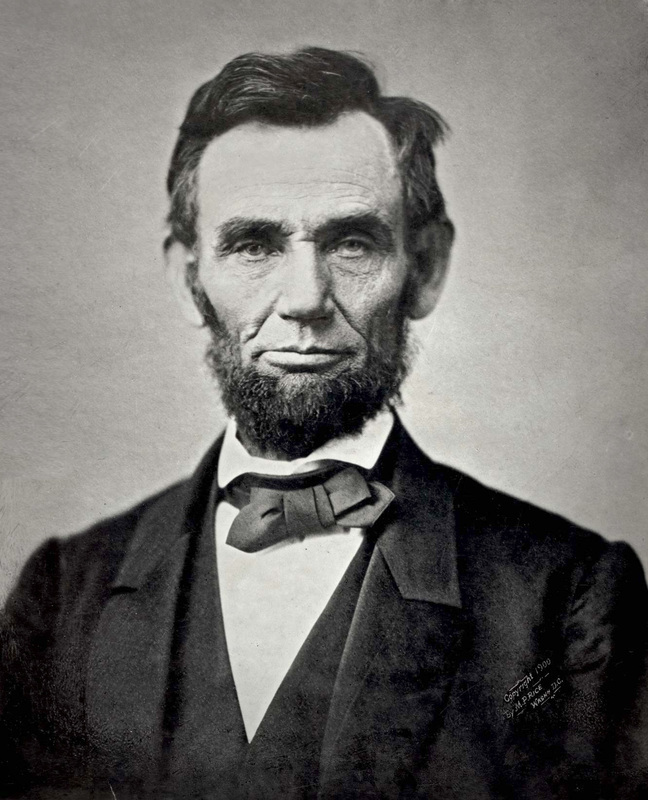 Emmet’s speech marked the death of one man – Lincoln’s grieved at the sacrifice of thousands. They do, however, have one thing in common. No one is agreed on what exactly was said. There are five extant versions of the Gettysburg address and as many of Emmet’s Speech from the Dock. But did Emmet’s speech influence the creation of the most famous short speech in history? Very likely. As a boy in Indiana (where his family had migrated from Kentucky) Lincoln is known to have learnt Emmet’s valedictory off by heart. As a gangly teenager he would often deliver it as a party piece for dignitaries visiting Perry County, where he lived. More than a quarter of a century later, at the first Republican National Convention, in New York, in 1856 the explorer and ‘pathfinder’ John C. Fremont was chosen as the party’s Presidential nominee. Soundly defeated by William L. Dayton for the Vice Presidential slot was Abraham Lincoln. The Chairman and keynote speaker at the Convention was a New York Judge and politician, Robert Emmet, the Dublin-born son of Thomas Addis Emmet (United Irishman and 1798 revolutionary) and nephew of his celebrated namesake. In his speech Emmet attacked the rival Democratic Party and how its newly chosen standard bearer, James Buchanan, had proven himself to be aligned with slave interests. In 1939 the distinguished playwright Robert Sherwood, friend of Dorothy Parker and one of the original members of the Algonquin Round Table, won a Pulitzer Prize for his play Abe Lincoln in Illinois. It starred Raymond Massey, who later reprised the role in the 1940 film version directed by James Cromwell. Massey, after playing the role 472 times on Broadway, seemed to take on the form and characteristics of Lincoln. He spoke and dressed like him. 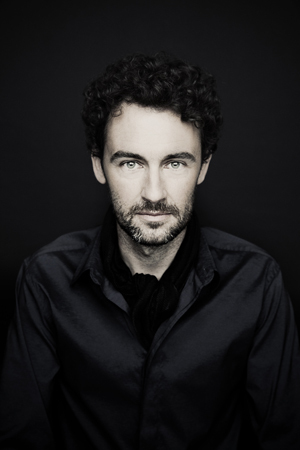 This caused his friend, the playwright George S. Kaufmann, to observe that ‘Massey won’t be satisfied until someone assassinates him.’ The significance of the play is in Sherwood’s middle name, Emmet. He was the great-great-grandnephew of the executed patriot. 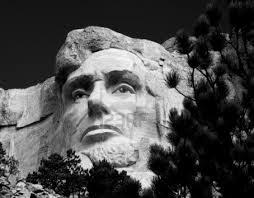 It was as if the Emmet family, having accepted the homage of the young Lincoln, was repaying the compliment.